We have the most knowledgeable and experienced appraisers you can find anywhere. We can appraise all kinds of jewelry, diamonds, gemstones, sterling flatware, watches, and much more. If you haven’t had your jewelry appraised in the past 5 years, we recommend you have it documented in detail today. Most appraisals are done for the purpose of obtaining insurance coverage in the case of loss, damage or theft. However, our jewelry appraisal in Yakima can be used for many different situations such as estate tax evaluation, value comparison, casualty loss, dissolution of marriage (divorce), collateral and barter purposes. Jewelers Mutual Insurance is the only insurance company that specializes in protecting jewelers and the personal jewelry of the United States. Founded in 1913, Jewelers Mutual licensed in all 50 states, insures personal jewelry of more than 100,000 people. As a professional jeweler, we are committed to providing a full range of services – from helping you make the right selection to backing up your purchase if there is a problem. With that in mind, we would like to tell you about a service called Personal Jewelry Insurance from Jewelers Mutual Insurance Company in Yakima, the nation’s jewelry insurance specialists. Fine jewelry is beautifully crafted to last for generations, but accidents do happen. Loss or damage to these items can be emotionally and financially devastating. Your Personal Jewelry insurance policy will repair or replace your insured jewelry if lost, stolen or damaged. It even covers “mysterious disappearance.” What’s more, if you have a covered loss, Jewelers Mutual will ask that you return us to have your jewelry repaired or replaced instead of mailing it off to someone you don’t know. Furthermore, jewelry losses you experience with Jewelers Mutual will not affect your existing homeowner’s policy. Jewelry losses you turn in on your homeowner’s policy will count towards your continued eligibility and may even impact your homeowner’s premium. For more information, stop by our store and pick up a brochure on the program, call Jewelers Mutual direct at 1-888-884-2424 or visit them at Jewelers Mutual Insurance. We would also be happy to provide the insurance appraisals needed to insure your jewelry. Would you like an independent opinion on your diamond or gemstone? Let us help you choose the correct lab for your report. We’ll make sure it gets there safely, and explain the terminology when it comes back. Let our engravers add that personal touch. We can engrave in script or block, monograms, poems, even family crests. If you’d like your wedding rings personalized, we can engrave on the inside or out. Both machine and hand engraving are available. We can inscribe a name or other identification mark on any diamond, and most gemstones – even pearls! The laser inscription is only visible under magnification but is a great way to identify your own gemstones. 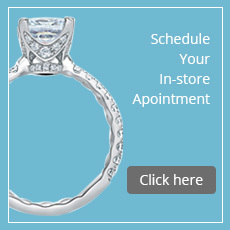 Our jewelry repair staff in Yakima is able to repair anything! We work in any metal; platinum, gold, silver, or a combination. Whether you need a new clasp on a bracelet, a ring sized, or a diamond set, we do it best. We can fix broken serving pieces in sterling or silverplate, or even resilver antiques. Mechanical Watch Full Service – Our full service for mechanical watches in Yakima consists of the disassembly and overhaul of the movement with an examination of all parts. We replace damaged or worn parts and re-seal water-resistant cases. Each of its parts is placed in special chemical solutions that dissolve dirt, dust and emulsify any dried out oils. When the watch is reassembled, special oils are applied to lubricate all essential parts. We recommend that a general overhaul should be performed every three years and that all water-resistant watches be tested once a year for case tightness. In addition, bracelet watch bands are polished and thoroughly cleaned. Quartz Watch Full Service – Our quartz watch full service in Yakima, WA consists of the watch disassembly, the case and bracelet are polished and thoroughly cleaned in the ultrasonic and the battery being replaced. If needed, the gaskets will be replaced, and the watch is resealed to factory specifications. We recommend that all water-resistant watches have their water resistance checked every time the battery is changed.